Col Hosie makes beautiful boxes, using the Gifkins jig. Each day at the Maleny wood expo Col will make a box carcass—then turn it into a box. Watch one of his box making demonstrations and chat to Pam if you have questions. Be inspired by the amazing display of Col’s boxes. The Gifkins jig makes box making so easy…No measuring! No fiddling! No fuss! It’s the only Australian-made dovetail jig. When you purchase the jig, we provide after-sales service and ongoing support for box makers. 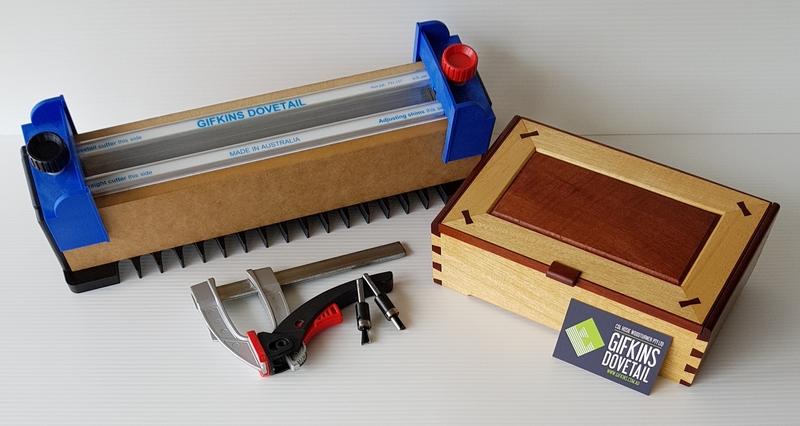 A full range of Gifkins jigs and box making accessories will be available.